We have record numbers of women running for office in 2018 because women are rising up! We have women organizing regular protests around the state – NC has weekly protests in Raleigh and Wilmington! Mostly women are protesting at the Kavanaugh hearings and around the state and country. Because Women are Rising Up NOW! 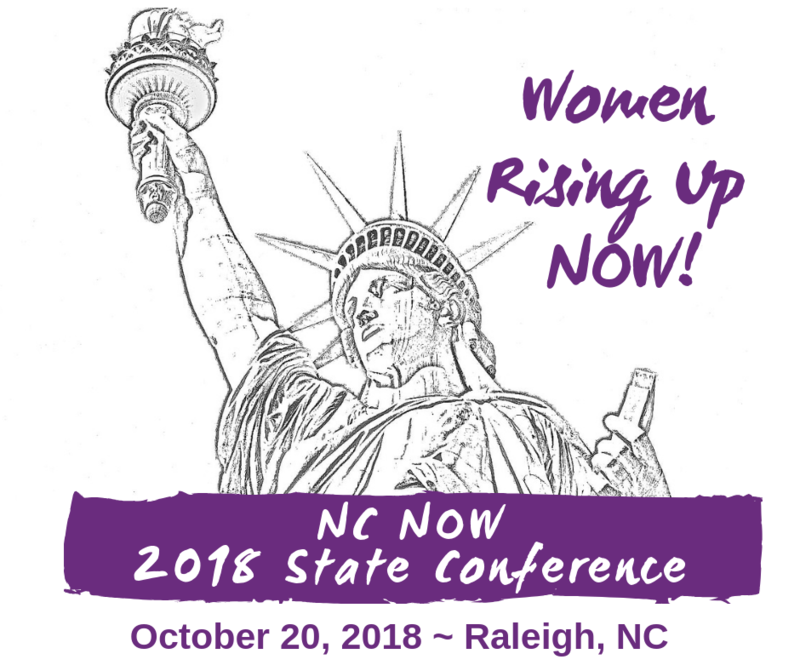 Please join us at our NC NOW State conference to meet some of these women in NC and learn some skills to help you rise up as well! Join us in Raleigh on Saturday, Oct 20, 2018, 9am-4pm. 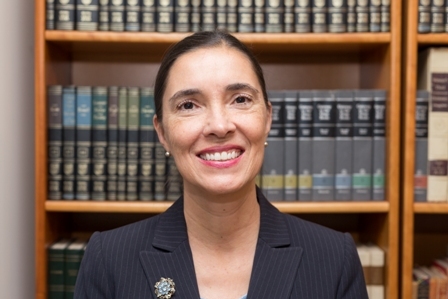 We are honored to announce that our keynote speaker is Civil Rights Attorney, Anita Earls. To register now, print and mail in this form: NC NOW News Fall 2018 Registration Page (v2). Or register online here. Hotel Information: We have reserved a block of rooms at Comfort Inn & Suites Crabtree Valley for Friday night, 10/19/18. Phone: (919) 782-1112 (Ask for NC NOW block). Note: Block rate expires on 9/28/18. Flyer at NC NOW 2018 flyer final final. If you represent an organization who wants to table at the event, please fill in the form at StateConfTablingForm.2018. We are doing a silent auction again this year. People come up with some neat stuff, and sometimes historical items. Have anything to donate? Please Use the NCNOW Silent Auction Application form here and get the item to Maureen Wertheim. Contact Maureen Wertheim through Raleigh NOW at president@raleighnow.org. We are screening “Seeing Allred,” a documentary about women’s rights attorney Gloria Allred at 7pm at the hotel where some NOW members are staying on Friday night. Very inspiring, some members saw it and met Ms. Allred at the national NOW conference in San Jose last summer. It’s a free screening. Please join us if can – but be sure to sign up via Eventbrite. Read more and find link to sign up at Inspiring “Seeing Allred” in Raleigh on 10/19/18.